Thank you for visiting my website! I am a mobile Notary Public and Loan Signing Agent located in the City of Dublin, California, bringing over 10 years' experience as an Real Estate Agent and a Loan Consultant to your transaction. I provide professional and accurate service at your convenience. To serve you more efficiently, please note that California law requires that the notary obtain Satisfactory Evidence of the signers' identity. The following are acceptable forms of identification pursuant to California Law: 1) California Driver's License or Identification Card; 2) United States passport; 3) Other California-approved ID card: a) A passport issued by a foreign government, provided that it has been stamped by the U.S. Immigration and Naturalization Service or the U.S. Citizenship and Immigration Services; b) A driver's license issued by another state or by a Canadian or Mexican public agency authorized to issue driver's licenses; c) An identificaiton card issued by another state; d) A United States military identification card with the required photograph, description of the person, signature of the person, and an identifying number; e) An inmate identification card issued by the California Department of Corrections and Rehabilitation, if the inmate is in custody; f) An employee identification card issued by an agency or office of the State of California, or an agency or office of a city, county, or city and county in California. If you do not have one of the above forms of Identification, please discuss this with me at the time you request my services as alternatives may be available. I am not an attorney and therefore, by law, I cannot explain or interpret the contents of any document for you, instruct you on how to complete a document or direct you on the advisability of signing a particular document. I am a Certified Notary Signing Agent by the National Notary Association and 123Notary. I am very familiar with real estate and loan documents and understand the importance of having them done accurately and timely. I am bonded and carry $100,000 Errors and Omissions Insurance. I underwent and cleared two background screenings - one was required by the State of California, and the other was done by National Notary Association. I offer flexible schedule and accept eDocs. I am bilingual in English and Chinese (both Cantonese & Mandarin). I am a member of Naitonal Notary Association, 123Notary, Notary Rotary and Notary Depot. I am professional, reliable and detail oriented. General notary assignments are limited to Tri-Valley and nearby areas which include Dublin, Pleasanton, Livermore, Castro Valley, San Ramon and Danville. Mobile fee will be applied. 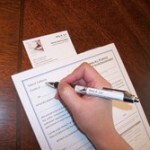 Fees for Loan Signing Services vary on a case-by-case basis. They are based upon location of the signing, type of loan (single refi, reverse mortgage, 1st and concurrent 2nd), volume of the loan package. Please call for quote.